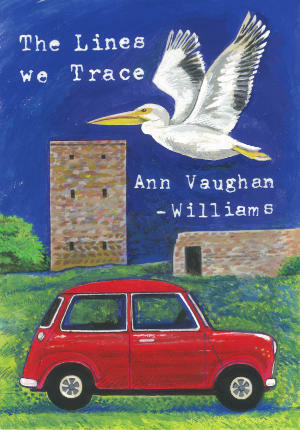 The Lines We Trace is the latest poetry collection by Ann Vaughan-Williams. Ann will be launching the book at Love & Dye on 14 April, with poetry, song, and refreshments. (2 minutes from Raynes Park Station, and on the 57, 131, and 200 bus routes). Let us know if you’re coming on Facebook or email annvaughanwilliams@gmail.com. Be a hero! Download, share, print the poster (A4, PDF). £3 from the sale of every book will go to the Bwindi Watoto School for orphans in Uganda, which Ann visited on her recent return to Uganda. 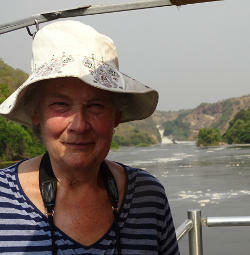 Ann Vaughan-Williams née Kerkham was born in Uganda in 1941 and came to Norfolk when she was fourteen. 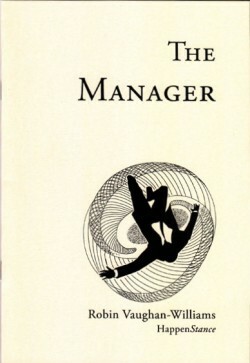 She worked in Coventry, then Tooting, and at Bethlem and Maudsley Hospital as a Mental Health and Psychiatric Social Worker. For many years she taught Creative Writing in Merton, Kingston and Richmond, and is an active member of South London’s poetry community. She was an editor of The Long Poem Magazine for five years, has co-edited poetry anthologies with Merton Poets and Whatley Writers, and is the founder of Write Afresh, a weekly writing group primarily for adults with mental health issues. She has an MA in Creative Writing from Bath Spa University. Poems from The Lines We Trace have appeared in publications such as The North, Haiku Quarterly, Seventh Quarry, London Grip, Magma, and Slipstream, Sea Poems (an art pamphlet), and the London Rivers anthology. Her first collection was Warming the Stones (1992). Listen to Ann Vaughan-Williams reading from The Lines We Trace. This entry was posted by Robin Vaughan-Williams on Friday, March 16th, 2018 at 10:39	and is filed under Events, Poetry. You can follow any responses to this entry through the RSS 2.0 feed. You can leave a response, or trackback from your own site.